Last weekend, GMC poked fun at Ram on Twitter for its lack of a sophisticated MultiPro tailgate like the one available on the 2019 Sierra 1500. 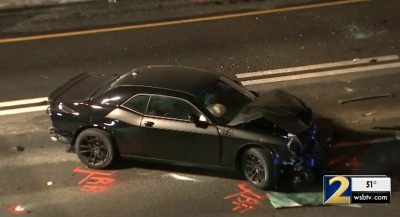 The trolling didn’t go unnoticed in Auburn Hills, as Ram hit back with the unveiling of a new Multifunction Tailgate at the Chicago Auto Show. 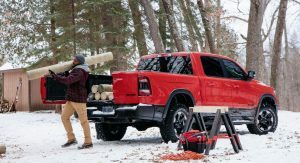 Ram describes its Multifunction Tailgate as “unique among all pickups” and says it offers customers “cargo-access flexibility without compromise.” The new tailgate’s party piece is the 60-40 split, which the company says is a segment first. There are four different ways of opening the Ram Multifunction Tailgate: open flat, open left door only, open right door only, and open both doors. Each door swings open 88 degrees. 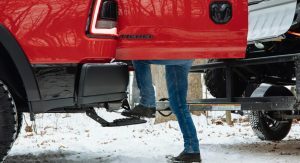 For better access, Ram offers the option of a retractable center-mounted step. 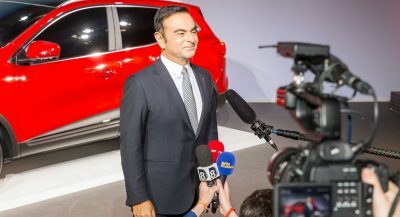 According to the automaker, the new design retains the capabilities of a fully-dampened, drop-down tailgate with remote release options, while the dual side-hinged tailgate doors improve access and utility. For example, independent opening features make curbside loading easier. Furthermore, loading bulky items is easier, as is stepping up since the bed can now be accessed closer to the bumper. Ram Trucks also claims that unloading and washout stand to gain, with the new design allowing forklift loading as well. Ram didn’t miss the opportunity to also take a stab at GMC’s MultiPro tailgate. 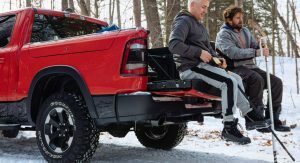 “Unlike other multi-element tailgates, the Ram Multifunction Tailgate is trailer-friendly and does not require that the trailer and hitch be removed before opening,” the press release says. 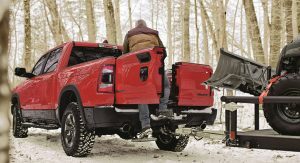 Finally, it adds that the new tailgate retains all of the traditional tailgate’s capability, including the 2,000-lb (907-kg) load rating. The new Multifunction Tailgate will be available across all seven 2019 Ram 1500 models from the second quarter of 2019. The innovative tailgate adds $995 to the total price, with the optional center step priced at $295. Sorry Ram, GMC has you beat here. now get them on the Chevys. It should be an easy option for any model. Agreed. That notched bed is just super friggin useful. However, I still laugh that GM used to make jokes about Ford’s “Man Step”. It’s a GM tradition over the past 10 years to mock something Ford introduces and then follow it up with their own version later. So what’s the point of this and how is it more beneficial? You have obviously never owned a truck. He asked a very valid question. Because essentially the egress and ingress are the same. So, what is the point of the door? 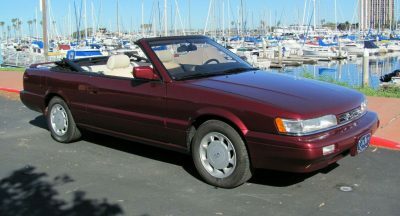 I also don’t understand the benefit, also never owned a pickup so please explain. Sometimes it’s just easier to retrieve items in the bed if you don’t have to lean and reach over the conventional open tailgate to do it. I have an older truck, it’s RWD and fairly low to the ground and the tailgate isn’t as tall as the newer trucks. I have on several occasions found it beneficial to remove the tailgate altogether when loading and unloading cargo which is a bit of a cumbersome task. I see this feature being more advantageous on a newer truck, especially the taller 4X4 models. I feel the GM version being beneficial too and think it may give you a bigger bang for your buck, just from a versatility standpoint. However, I don’t know that I personally would spend the extra money for one. Wait what? You was really selling your argument until the end. Why wouldn’t you spend the money on one? Actually egress and ingress are completely different because the barn-door opening allows you to use the bumper as a step, when usually the bumper is inaccessible with the tailgate down. I thought of that but the bumper is actually pretty high off the ground. I mean it’s completely doable but it’s still a hassle to get on to the bed. No but I grew up driving them so I’m fairly familiar with them. So what is the point you’re trying to make? You shortened your reach by about 18 inches at most so you’ll still have to deal with reaching in. Plus where’s the ease of getting into the bed? My dad has a Raptor and the step is a huge help for him. The point is not to having to climb into the bed. Raptor tailgate open is 36″. Why would a guy that has to climb in and out of a truck bed on a daily basis to move large items that can’t be dragged purchase a Raptor? I don’t k. Ow, maybe he has more than one item? Maybe he has to tie it as close to the cab as possible to better distribute weight. You don’t see people moving a refrigerator or any other appliance with it as close to the back as possible, do you? You obviously never used a pick up for its really purpose. LOL! Do you really think a 300# refrigerator is gonna make a difference in weight distribution on a truck that weights more than 5000#. And FYI if you lay it on it’s back it’ll slide out without having to climb into the bed. Just curious, how many refrigerators a week is your Dad hauling in his Raptor? I know right? Because it doesn’t improve the daily use of the bed. To access the bed an individual would still encounter the same height difficulties. And the egress and ingress are still the exact same height. So, this is truly just a gimmick. With the doors swung open rather than dropped down, the tailgate becomes the step. No complex integrated step required, and the hitch does not have to be removed. That last part is critical for work pickups. Washout and loading are simplified as well. Yeah, but is it really needed? But I guess it’s nice to have. I’ve driven/owned/used trucks all my life and honestly, I would keep my $1k. This would make it slightly easier if you were reaching for something in the bed without getting up into it, but if I have something like that 95% of the time I am getting up there anyway so a corner bumper step is more useful. Both. Ram in Sterling Heights, MI and GMC in Ft. Wayne, IN. This is purely a gimmick. The multi-function tailgate from GMC has more practical applications than this. Unless you have a tow hitch. Personally, I think the GMC design is the gimmick. Yes, it’s an impressive bit of engineering, but it comes with compromises. Yep, pulling a pin is rough work. Didn’t say it was rough, but it’s still a compromise. And more importantly, an extra step. These are work trucks. Time is money. Hence I would say the corner bumper step is still the best solution. 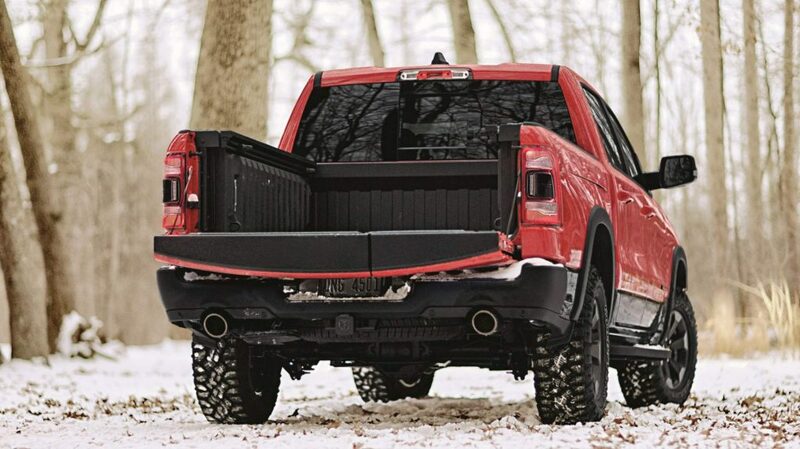 How about a tailgate that can do all functions of a Honda Ridgeline, a Ram, and a GMC. 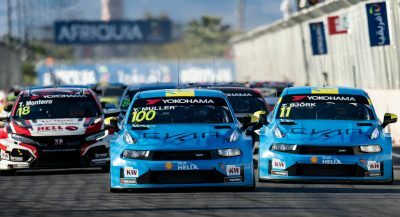 Come on Ford and Toyota.